NOTE: Attendees MUST bring photo ID. Security desk closes at 7PM SHARP, and unfortunately cannot accommodate anyone who arrives after 6:45PM. Many of you are busy, successful women. Often times, personal finances take a back seat. In this insightful seminar, Brigitte Davison will teach you how to maintain your financial focus so you can achieve the financial goals that are most important to you and your families, both now and in the future. How much of a nest egg do you need? Brigitte Davison is a Certified Financial Planner Practitioner, Chartered Life Underwriter, and Certified Fund Specialist. She specializes in the financial needs of women and is currently a Financial Advisor at Ameriprise Financial Services Inc. where she works with clients to analyze where they are today, help them clarify where they want to be in retirement, then collaborate with them to develop a financial plan that can help create an ever increasing level of financial independence. She helps clients to navigate toward a point where employment becomes optional - freeing them up to choose a new career path, lend their expertise to a non-profit organization or simply pursue their dreams. Brigitte lives with her husband and 2 children, Sophie and Nicholas, in the New York City area. Her hobbies are cooking, knitting and walking. Location: Redemption Lounge, 1003 Second Ave (corner of 53rd & 2nd), NYC, NY. People rarely reveal their past mistakes, but in The Dandelions of Woodlawn Avenue, author Jo Singel shares her unsent letters and her journal and diary entries with the world. If you have ever felt alone-emotionally in the dark, afraid and with no one to turn to-her story will connect you, soul-to-soul, with the everyday struggles, discoveries, joys, & challenges of an ordinary woman who wants to free herself of the imposed restrictions of society, culture, family, relationships and work demands. Jo’s world is inhabited by disturbing portraits of people and relationships that go beyond the surface and explore the basic emotions of love, fear, anger, shame, and denial. The Dandelions of Woodlawn Avenue examines life and looks at what happens, what doesn’t happen, and what might have been. Jo Singel has spent the last thirty years as an entrepreneur, corporate educator, and business owner. She lives in Manhattan with her husband and son. We are also now posting details and links for upcoming Affiliates’ events as a resource to our members. Information is posted on the Events page. If you know of other events of interest to AWLN members, please send details to communications@awln.org. Below is the first in our new article series, Take It From A Leader. We will be highlighting an female Asian leader in each issue, with their responses to five key interview questions. This month, we interviewed Janice Won, AWLN’s Co-Exec VP. 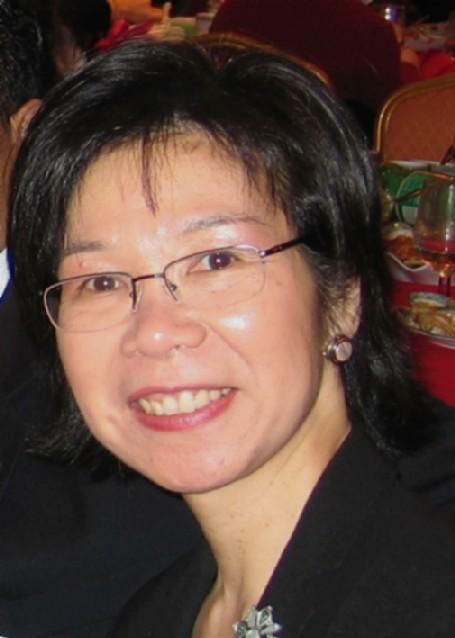 Janice Won, AWLN’s Co-Exec VP. AWLN: What is the biggest challenge you have ever faced in building your career? Janice Won: The biggest challenge I faced was staying at the top of my game through the multiple mergers during the long period of financial services consolidation. It is a challenge to maintain a sharp focus on your work objectives, produce high quality work, and to lead and motivate a team through significant organizational change. The key success factors were maintaining a positive attitude, communicating relentlessly and producing results to demonstrate the team’s value. It is also critical to establish new working relationships that have long-term impact. AWLN: What is the one thing you wish you knew in your 20’s about how to advance at work? Janice Won: How important it was to network with people within and outside the company. Early in my career, I expected to be recognized for doing great work. As the company became larger and more global, I realized that it was not sufficient to keep my head down. I actively began to expand my sphere of influence and knowledge base within the company by learning from colleagues outside of my department and by actively leading the employee networking groups I co-founded. I also joined external industry groups to learn best practices and trends. Networking helps you build your social and intellectual capital which ultimately enriches your professional and personal life. AWLN: How do you balance work and your home and family life? Janice Won: When my son was young, I relied on a good support system around me to provide him with the best care during times when work consumed my time. I recall times when he would call me at the office for help with homework. When I was not available, my co-workers were gracious enough to guide him. When possible, I limited business travel to three days so I would not be away for extended periods of time. Weekends are dedicated to family activities, personal hobbies and time with my friends. Nevertheless, there were extended periods when work simply demanded more attention. It is a constant juggling act. AWLN: What is the last book you read? Janice Won: The Dandelions of Woodlawn Avenue: A Woman’s Search for Meaning and Purpose in Life written by my friend, Jo Singel. Her personal stories - told through diary entries and unsent letter - reveals her many struggles, discoveries and challenges, and shows how she wants to free herself of the imposed restrictions of society, culture, family, relationships and work demands. It evokes emotions that we often don’t allow ourselves to express. AWLN: Who were your two most important mentors and why? Janice Won: My former manager, Claude, gave me the opportunity to work in a corporate environment. This was all “foreign” to me having been raised in NYC Chinatown and working in government after graduating from college. Claude took risks by giving me stretch assignments, increasing my responsibilities and placing me on key project teams. He coached me on how to thrive and be resilient during stressful organizational changes. He’s an excellent role model for being open and honest, advocating for fairness and respect, and mentoring those aspiring to reach greater heights. One of my team members, Josephine, was a reverse mentor to me. She helped me understand how concepts translate into practice. I also learned how to devise communication strategies by working with her. She was a phenomenal writer and helped me develop strong writing skills. Jo always “tells it like it is” so we could anticipate the range of responses and determine strategies for aligning support and dealing with resistance when launching new initiatives. AWLN wishes you a Happy Chinese New Year!! For more information on this holiday, see the entry in Wikipedia.